The first world war was notthat which began in 1914, but the co-called Seven Years War which, in 1756, brought into being global conflict. The new factor which dramatically altered the course of history was British sea power. With the support of the navy, a few thousand men dispossessed the French of their fledgling North American empire and saw them, and the Dutch, utterly vanquished in India. Attacks on Cuba and the Philippines crippled the Spanish Empire. Through feats of extraordinary courage and endurance, fighting merchant adventurers such as Robert Clive laid the foundations of an Indian empire. In North America, soldiers such as the Virginia militia officer, George Washington, the future first President of the United States, and James Wolfe, who died in the battle for Quebec, determined that Canada would be British - not French. 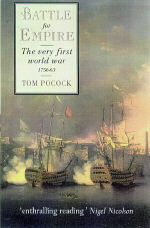 In this vivid account of this first 'modern' war, Tom Pocock uses the testimony of eye-eitnesses to dramatic effect. "Pocock's book makes enthralling reading... his prose is excellent." 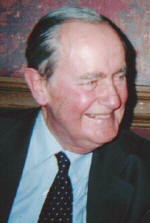 "Tom Pocock has written another stirring popular history... Pocock vividly brings his work to life. The lessons of history are brought to life by Tom Pocock and his latest book is a thoroughly good read." "Tom Pocock has caught the flavour of this age. He is a first-rate story-teller, writing with an appropriate gusto about his robust heroes."